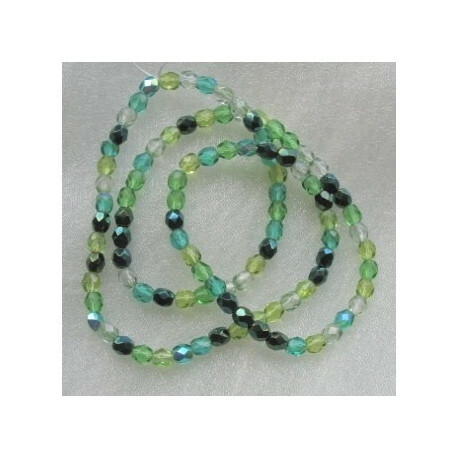 > Beads>Glass beads>Mixed glass colours>4mm firepolished green tones mix Czech glass. Pack of 100. 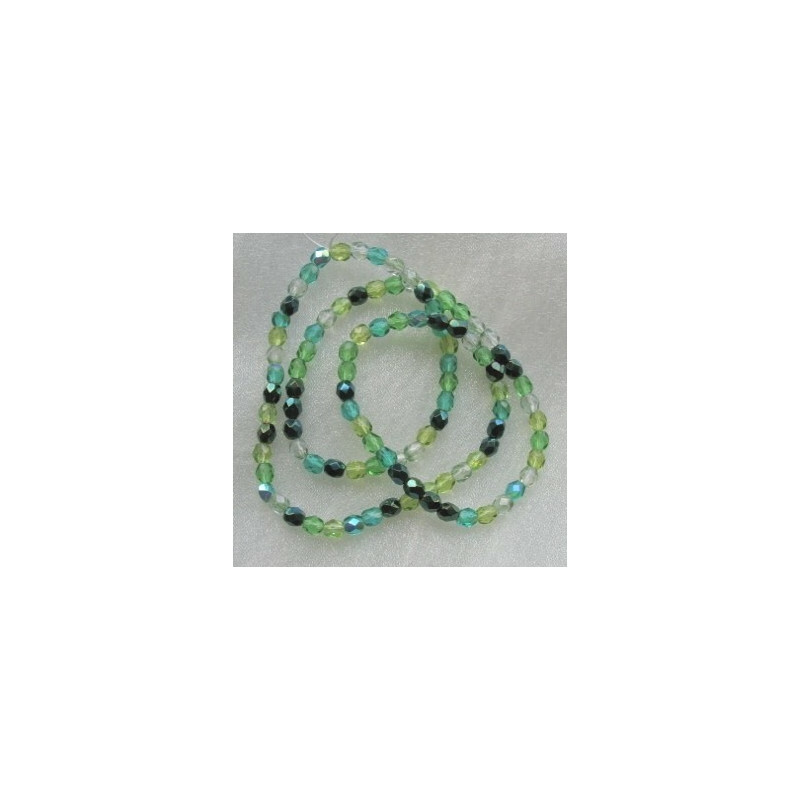 4mm firepolished green tones mix Czech glass. Pack of 100. 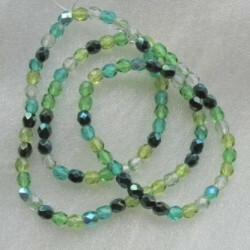 4mm Firepolished Green Tones Mix Czech Glass. Sold in pack of 100.